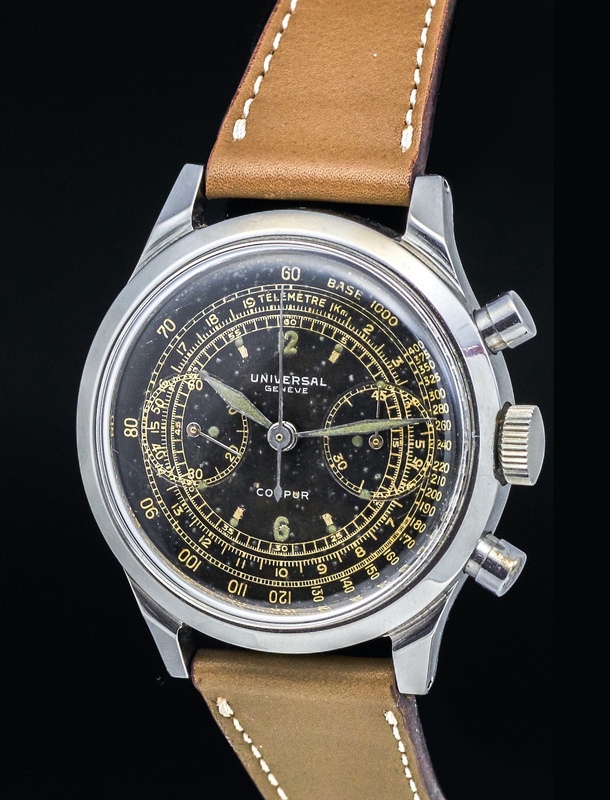 Universal Geneve chronographs are some of the most beautiful vintage watches out there. Just look at this beautiful oversize Compur. The ref 22409 pictured is a real beauty to wear and contemplate. The combination of a browning dial with silver and gold writing is fantastic.